PORT & POLISHED EDLEBROCK MUSTANG 5.0 PERFORMER INTAKE. WILL TAKE 1-2 WEEKS TO RECEIVE YOUR FINISHED PERFORMER PRODUCT. WE DO NOT REFUND ANY PRODUCTS THAT HAVE BEEN CUSTOM PORTED. This is one of the best Intakes we sell. 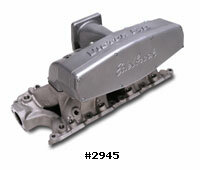 Designed for race engines modified to produce 400-500 HP. RPM Range 4000 - 7500. This would be good for up to 600+ HP with the Porting & Polishing modifications. No Refunds are offered when a product(s) are custom ported. We only offer a stage 1 for this intake, because we do not cut them and weld them back together. We used to offer this service, however, now there are just too many good intakes that the backs come off. 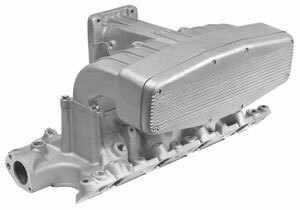 This would make a good intake for a mildly modified engine. No Refunds are offered when a product(s) are custom ported. Before Port work this intake dyno'd out 10 HP over the Ford Cobra Intake. Will take 1 -2 weeks to receive product after port & polish service is finished and the intake is thoroughly cleaned. Cost cannot be refunded after port service has been completed. We only offer a stage 1 for this intake, because we do not cut them and weld them back together. We used to offer this service, however, now there are just too many good intakes that the backs come off. This would make a good intake for a mildly modified engine. Before Port Work this intake Dyno'd out 20.10 HP and 16.26 foot pounds of torque over the factory 4.6 2V Intake. For Years 1999-2004. This is one of the best street & strip 4.6 Intakes It can be fully modified all the way through for a modified engine, it would gain some nice HP!!!!!! !